Our Rolls-Royce Ghost rental in Las Vegas has all of the luxurious amenities you’d expect from one of the finest high-end automobile manufacturers in the world. If you’re looking to arrive in style during your next Vegas trip, contact Dream Exotics today to reserve your Rolls-Royce or any other exotic dream car in our fleet. With a 6.6-liter, twin-turbo W12 engine delivering 563 hp and 575 lb-ft of torque, the Rolls-Royce Ghost is a luxurious beast that launches from 0-60 mph in 4.8 seconds. Gliding down the street in near silence, this smooth, yet powerful ride will have you cruising the Strip in ultimate comfort and style. With features like this, who wouldn’t want to indulge in a luxury rental? You can enjoy downtown Las Vegas and explore Fremont Street or even take the Rolls for a cruise to the famous Las Vegas sign. Wherever you go, you’ll know you’re traveling in a top-of-the-line luxury automobile. The Rolls-Royce Ghost boasts an incredibly extravagant interior with indulgent features most people have only seen in their dreams, including front and rear ventilated massage seats. Along with a relaxing massage, you will find yourself surrounded by premium leather seats stitched to perfection along with a rear seat theater. 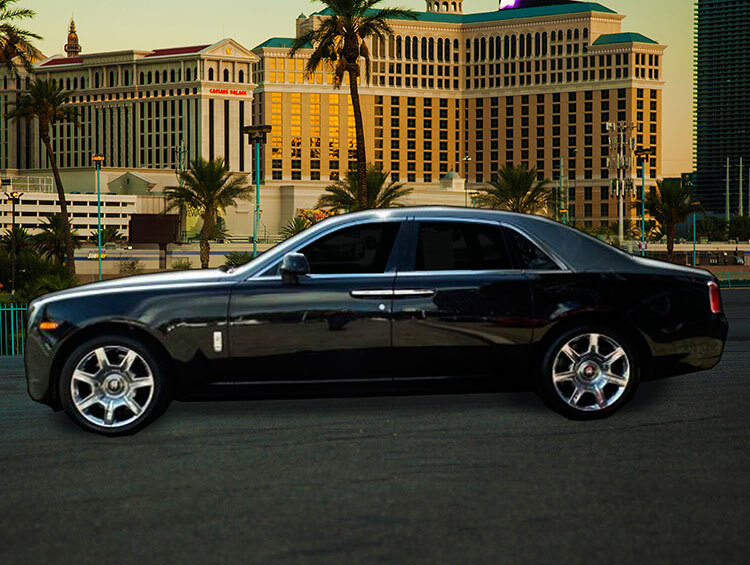 Rent a Rolls-Royce Ghost from Dream Exotics in Las Vegas and you’ll get the ultimate luxury experience. We have the best customer service in town and the largest fleet of luxury and exotic cars available. Contact us today for more details.